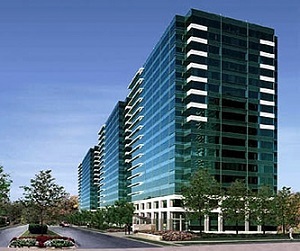 I work primarily out of two offices: one in Decatur and one in Dunwoody. I frequently make house, hospital, and nursing home visits. For clients outside of metro Atlanta, including those in my native southwest Georgia, please email or call me to set up an initial phone call. When needed, we can schedule a subsequent in-person visit. This office is located on the top floor of One West Court Square, the only highrise office building directly off the Square in downtown Decatur. This building houses Souper Jenny restaurant on the ground floor). 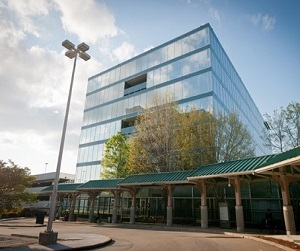 The parking deck for One West Court Square is accessible off of Commerce Drive on Swanton Way, just behind the SunTrust bank on your left before you approach the MARTA bus station. 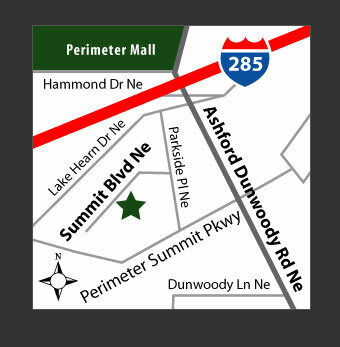 Driving directions to my Dunwoody office are below. I also have access to meeting space in downtown Atlanta, Midtown, Buckhead, Vinings, Kennesaw, Alpharetta, Duluth, and even at Atlanta’s Hartsfield-Jackson Airport. Take I-285 to Exit 29 (Ashford-Dunwoody Rd.) Continue south away from Perimeter Mall. Exit right onto Lake Hearn Dr.
At the light, turn left onto Parkside Place. Then turn right into the Perimeter Summit Complex. At the stop sign, turn left. 2002 Summit is the first building on your right, directly across from Villa Christina restaurant. My office is located on the 3rd floor.